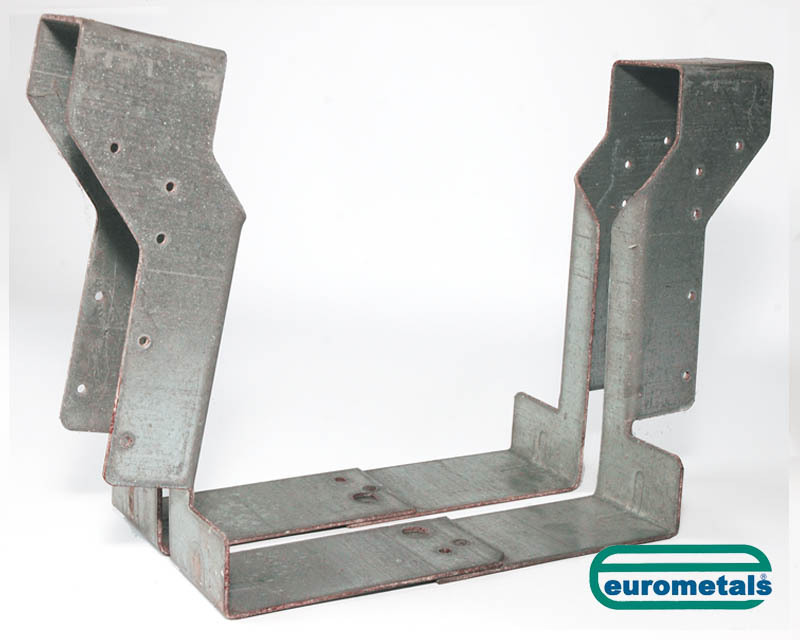 Lightweight Joist Hangers Beamfix - Mini Mesh | Eurometals Ltd. Ultimate load per hanger: 20.58 Kilo-Newtons. 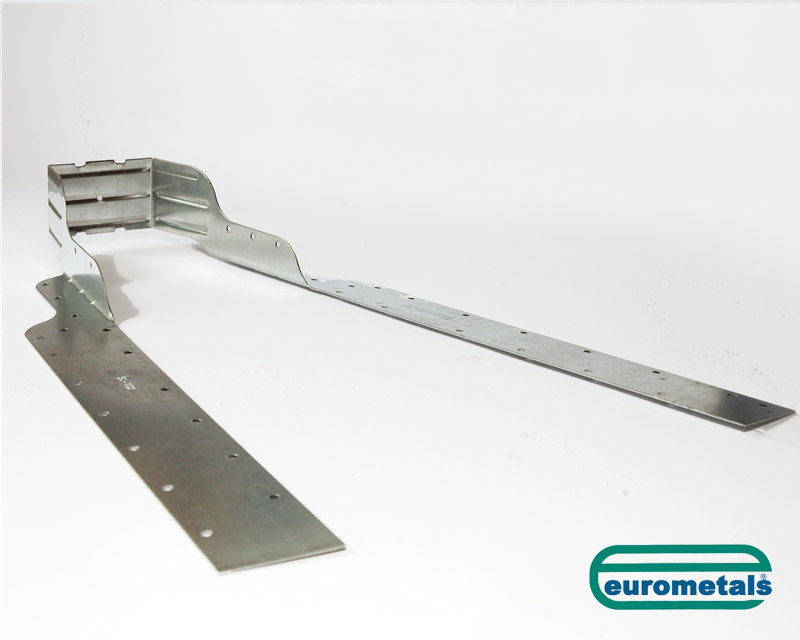 Eurometals’ Beamfix lightweight joisthangers are manufactured from 1.0mm thick galvanised mild steel to BS2989:1982. They provide a cheap and efficient method for connecting medium duty timber joists of various widths and from 125mm deep and above. 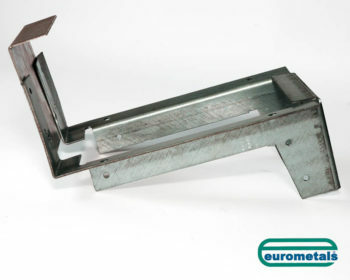 Eurometals’ Beamfix lightweight joisthangers offer considerable timesaving in on-site labour as their side straps are easily bent by hand around the supporting member and the connection quickly secured by nailing with 3.75mm x 30mm sq. twisted sheradised nails. Non-standards with extended side straps can also be supplied. Please note that the ultimate loads stated for the components illustrated were obtained from destructive hydraulic testing with all nails fixed. An appropriate factor of safety should be applied in order to determine safe working loads for design purposes.